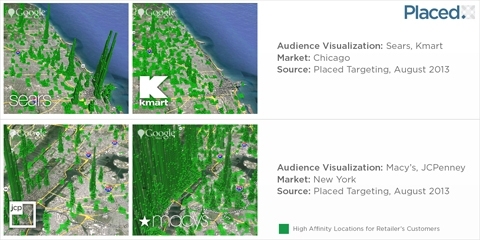 US — Location driven insights firm Placed has launched a tool that tells mobile advertisers where their customers are. Utilising 20bn continuously measured locations Placed Targeting sends notifications to tell advertisers exactly which places their audiences go to the most in the real world. Placed is partnering with location-based platform Verve for the launch and will be available to the latter’s client base. All of this location based and location sharing technology is honestly starting to freak me out a bit. I started using Life360 a few months ago, and I absolutely love it, but the location sharing does bug me a bit, and now to know that marketers are getting in on the action too! There is some really great tech out there but I'm getting more and more concerned about my privacy.